Toyota is a Japanese brand dedicated to serving its customers with a high degree of personalization, much like our dedication to providing customers excellent service for all your automotive needs. 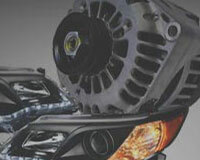 We offer a complete online catalog of Toyota Pickup OEM parts and accessories at discounted prices. As a name applied to a series of compact Toyota trucks, Toyota Pickup, also known as Toyota Hilux in other countries, was produced by a renowned Japanese automotive manufacturer Toyota Motor Corporation from late 1975 until 1995 for the North American market. Toyota Pickup was available in a wide range of configurations; from basic short-bed rear wheel drive truck to recreational vehicle conversions manufactured in conjunction with the Winnebago company. Before it was replaced by the Toyota Tacoma in North American market, Pickup had been manufactured through four generations. The third-generation Toyota Pickup was produced from August 1983 to August 1988 and went on sale in North America as a 1984 model in 1983. It received a redesign and the solid front axle was swapped out for an independent front suspension/torsion bar setup in the 4x4 model. During this generation, Toyota Pickup was powered by various engines ranging from 1.6 L I4 to 3.0 L V6 gasoline engines and engines were coupled with 4/5-speed manual and 3/4-speed automatic transmissions. The fifth-generation Toyota Pickup started its journey in 1988 and the V6 Xtracab SR5 was awarded as the Truck of the Year by Motor Trend Magazine. It then got power from the 1.8 L I4, 2.4 L I4 and 3.0 L V6 engines; and engines sent power through 4-speed, 5-speed manual and 4-speed automatic transmissions to rear wheels or four wheels. 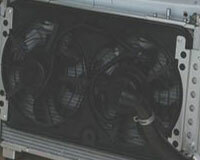 First, cooling system failure often appears when the Toyota Pickup reaches about 117,000 miles according to the information from the online car repair statistics site CarComplaints.com. Generally speaking, once the cooling system goes wrong, engine performance will be affected dramatically. Some Toyota Pickup drivers complained that when coolant leaks seriously, the engine would keep overheating frequently, and it will make strange sounds and suffer from hard starting, lose power while acceleration and consume excessive oil. 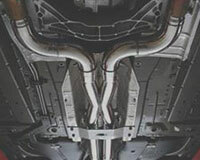 If you could see white smoke from the exhaust pipe, bubbles in the radiator or coolant overflow tank as well as lit Low Coolant Light and Check Engine Light, please inspect the Pickup oil filter, spark plug, throttle cable, radiator, fuel pump, fuel filter, distributor cap, radiator hose, cylinder head gasket, intake manifold gasket and EGR valve gasket thoroughly. 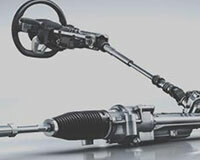 Second, braking, transmission and suspension system having issues affects Toyota Pickup drivers' driving experience. Braking failure is needless to say as it will put occupants' life at stake, thus, if you find the rare brakes are locked up, especially on wet surfaces and the parking brake could not hold the car properly so that the Parking Brake Light is activated, then the Pickup brake proportioning valve and parking brake cable must need replacements. 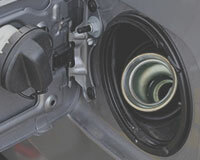 While transmission failure could often be attributed to the Pickup transfer case seal and bellhousing. 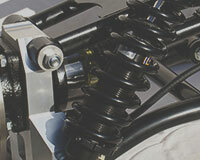 And once suspension issues also appear on the Pickup, then the ball joint and wheel bearing are often the culprits. It is not that easy to keep your Toyota Pickup at the prime condition consistently, which needs your routine maintenance on some vulnerable auto parts as well. 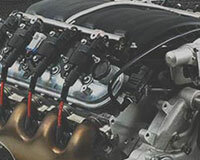 For example, some electrical parts could be broken due to a high frequency of usage, so Pickup speedometer cable, window regulator, speed sensor, fuel pressure regulator, turn signal switch and A/C switch need routine maintenance. Other parts such as seat belt, steering column cover, wheel seal, fog light bulb, wiper arm, headlight bulb and wiper blade also need to be maintained on a regular basis thanks to their important roles in a safe and sound driving trip. 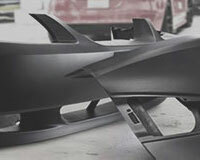 A best-shaped Toyota Pickup also needs brand new OEM Toyota Pickup auto parts to sustain. 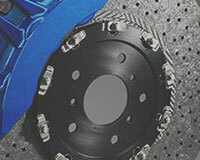 On one hand, they will fit the vehicle perfectly, which means they could give their performance to the fullest play without any extra wear due to misfit. 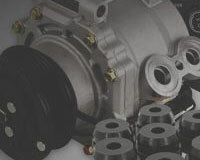 And ToyotaPartsPrime.com holds a wide range of lowest-priced genuine Toyota Pickup auto parts backed by the manufacturer's warranty. These OEM Pickup parts have passed strict inspection process and will be delivered to your door step in the intact condition and high specification at the fastest delivery speed. So, please shop with confidence since hassle-free return policy also gets your back!